I’m a bit of a perfectionist when it comes to outfit pictures, I usually end up having 100 + pictures taken each time so I know I have at least 9 perfect ones – but seriously, this winter weather is playing havoc with my outfit pictures this year, I never remember it being this cold last winter? 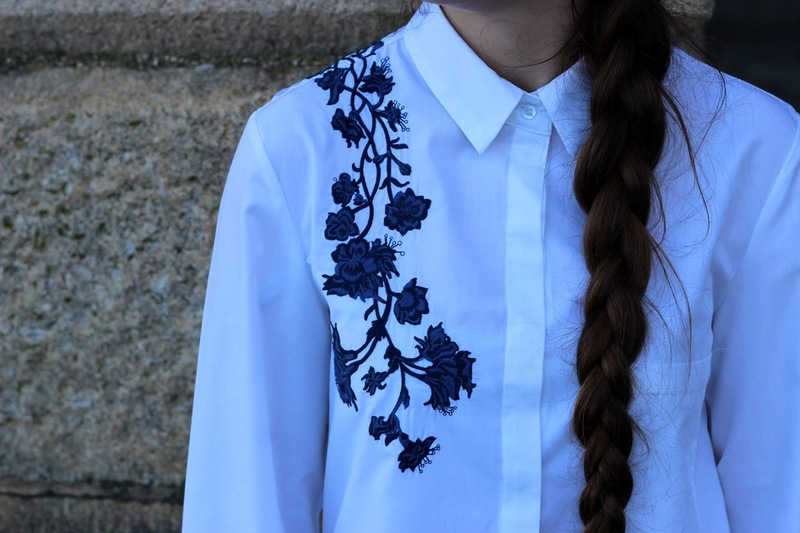 I’ve been trying to snap this beautiful embroidered shirt from Zaful for the last THREE weeks now, every time I’ve gone to take the pictures I’ve either been freezing or it’s been raining, it’s not exactly easy to take pictures when it’s soooo cold outside. I like having my health too much! But alas, I did freeze to death taking these pictures on the weekend (definitely the quickest outfit shooting ever! ), but I was rewarded with a nice hot chocolate afterwards, so who’s the real winner hey? Zaful are gonna be your new besties, especially if you have a penchant for everything Zara. 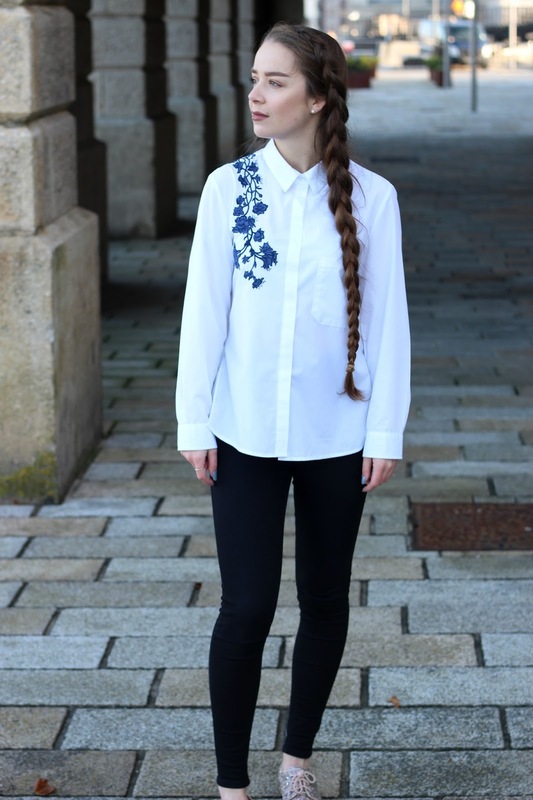 They do almost identical dupes of all the latest lines, but for a huge fraction of the price, as a sucker for all things embroidered I nestled myself within their range of embroidered shirts, and was soo impressed with the prices, but also gutted I could have got a dupe of a Zara shirt I’d already bought for £10 cheaper! 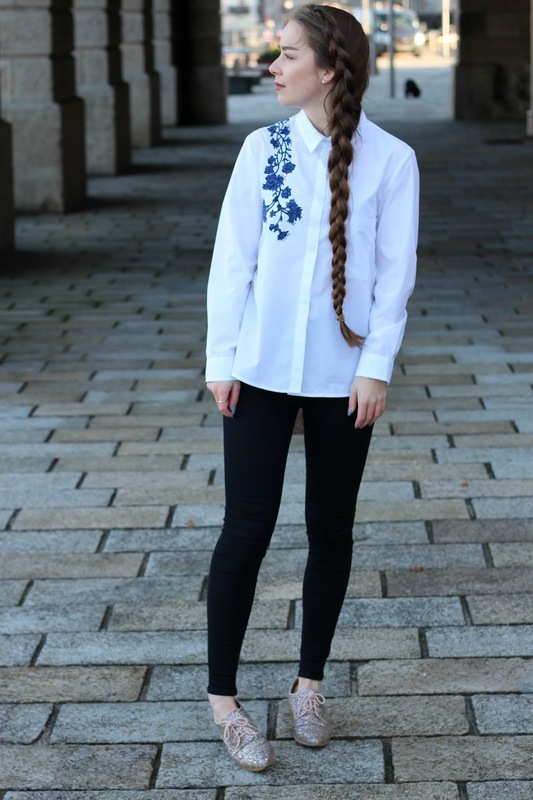 This Poplin shirt is the perfect work/casual look, the embroidered floral detail is so subtle, yet definitely makes a statement against the crisp white shirt. Zaful have a huge range of clothing that are ideal for anyone who has a taste for high end style, but doesnt like the price tag that goes with it. 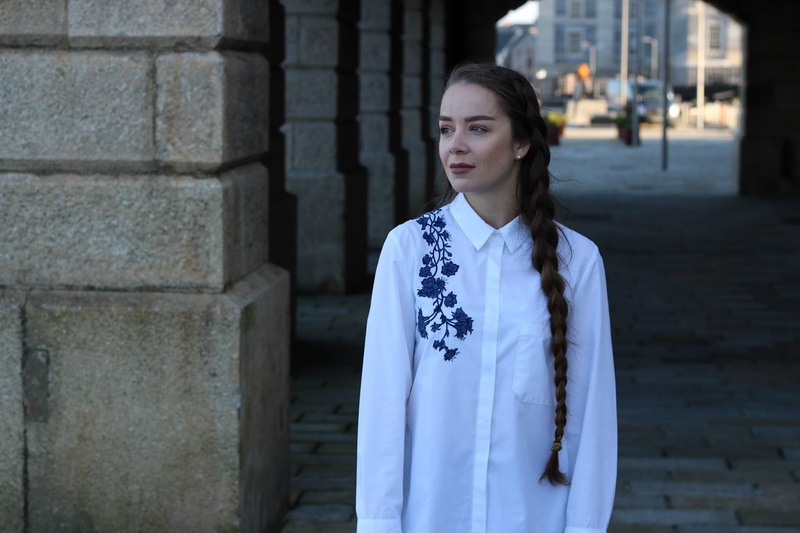 Despite being a lot cheaper than the high street, the quality of their items is amazing, albeit the shirt is maybe a little too thin for the weather, I did freeze to death whilst taking outfit pictures owww! The delivery of the items was super quick too, and I was overall really impressed with the service. What more could a girl want? Catch Zaful over on Facebook & Pinterest for more style inspiration! What do you think of this outfit? Have you heard of Zaful before? How do you cope with taking outfit pictures during the winter?